In operation since 1958, S & J Exco, Inc. is an environmentally conscious metal and wood waste recycling facility. Wood waste, as you may know, is a growing concern worldwide due to the closure of landfills. We accept wood waste, such as fence, pallets, pressure treated and painted wood, railroad ties, and sheet rock. S & J Exco is a retail landscape supply yard with delivery capabilities to meet all needs from homeowners to large landscape and/or construction sites. S & J Exco offers large 10, 20, 30 cubic yard containers for construction debris and other types of business or residential non-hazardous waste removal. Your local source for bulk commodities such as bark mulch, firewood, wood chips, stone, sand, shells, loam, and compost. S & J Exco, Inc. is an environmentally conscious wood waste recycler, transfer station and landscape supply facility. S & J Exco is a retail landscape supply yard with delivery capabilities to meet all needs from homeowners to large landscape and construction sites. We stock and deliver landscape products such as bark mulches, wood mulches, stone, gravel, screened and masonry sands, fill, loam, shells, cow manure, compost, and potting soils. S & J Exco, Inc. 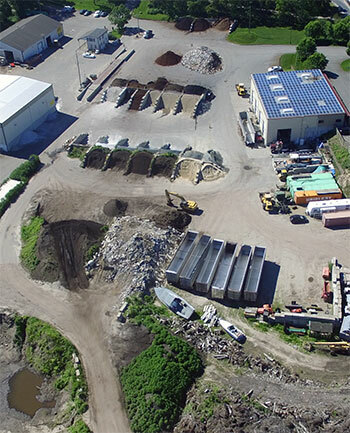 In operation since 1958, S & J Exco, Inc. is an environmentally conscious scrap metal and wood waste recycler, transfer station and landscape supply facility. At S & J Exco, Inc. we're committed to customer service while also helping to ensure environmental sustainability by creating eco-friendly, high quality landscape products. S & J Exco offers large 10, 20, 30 cubic yard roll-off containers for construction debris and other types of business or residential non-hazardous waste removal. Our construction and demolition transfer station accepts wood waste, fence and pallets, as well as pressure treated and painted wood, railroad ties, and sheet rock. Scrap metal prices depend on the market dynamics of each specific metal. Prices can change daily, weekly, or at a month's end, depending on the product type. Our pricing is also affected by the amount and quality of the material. We perform wood grinding services on and off-site, land clearing, and excavation of all types. We haul bulk commodities such as bark mulch, firewood, wood chips, stone, sand, shells, loam, and compost. Stay warm and stock up this winter with firewood from S & J Exco. We sell seasoned and debarked firewood! Free local delivery to Dennis, Harwich, Yarmouth, Brewster and Chatham. Call for rates to other areas. 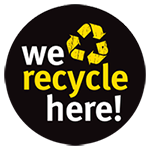 Home | About Us | Products & Services | Landscape Supplies | Recycling Transfer Station | More . . .